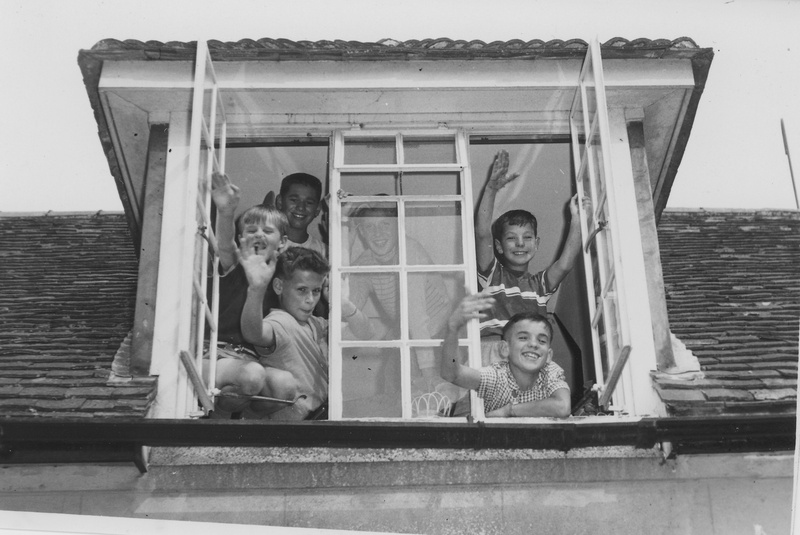 A group of boys wave from one of the windows in their accommodation in the Stables complex. Left from top: Arnold, Richard and Juek. Behind the centre glass: Stachek. Right from top: Leonard and Niko. The Early Pestalozzi Children Project has updated its presence on the internet. We are excited to announce our revised website (thanks to some brilliant help and guidance from Outerbridge Web Design & Development ). The story of the early Pestalozzi children is now displayed in more detail and in an easy-to-follow layout – describing the people, the place and the life. This remains a work in progress and we continue to seek further material. If you know something of the early Pestalozzi story, you will encounter some precious memories. If you are reading about it for the first time, it will be a great introduction to this surprising life. We are also looking to develop educational resources which offer understanding about some aspects of children in care and the value of fund raising for children’s charities. Where is the full story? Our website portrays just a small part of our heritage, much of which we believe has been lost. We are keen to hear from anyone who can contribute either personal or formal recollections of the early Pestalozzi Children’s Village – including the Pestalozzi community’s contact with other groups: schools, families, supporter groups and the like. Please give us your feedback! There are links throughout the website for you to contact us and we really want to know what you think. We are keen to hear it all, including suggestions for how we can continue to develop the website to encourage interest and educate our visitors. Do you remember the Pestalozzi Children’s Village in the early 1960s? Did you have some involvement or give support? Then contact The Early Pestalozzi Children Project !